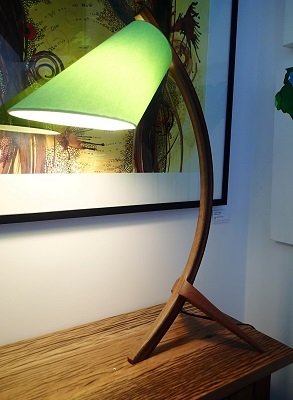 Table top arc lamp, handcrafted in Noosa from reclaimed timber, with hand on/off switch. Price includes shade - various patterns and colours available. Contact us to discuss available timber and shade availabilities, as well as delivery quote.